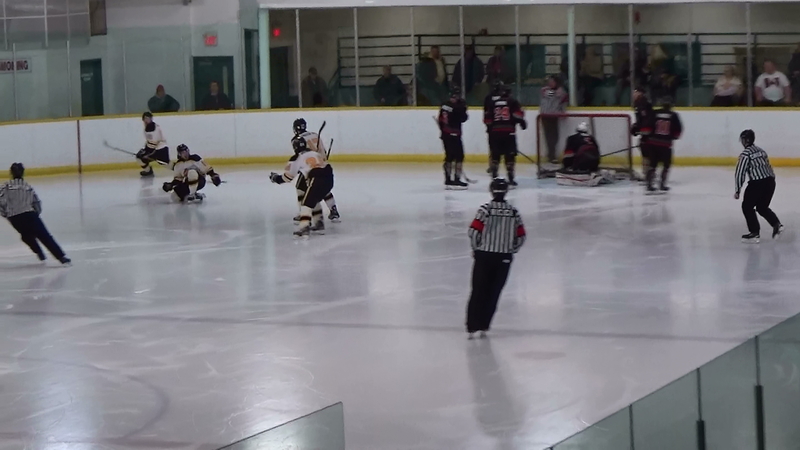 Comments Off on Bruins Get Important Point with Clarington! 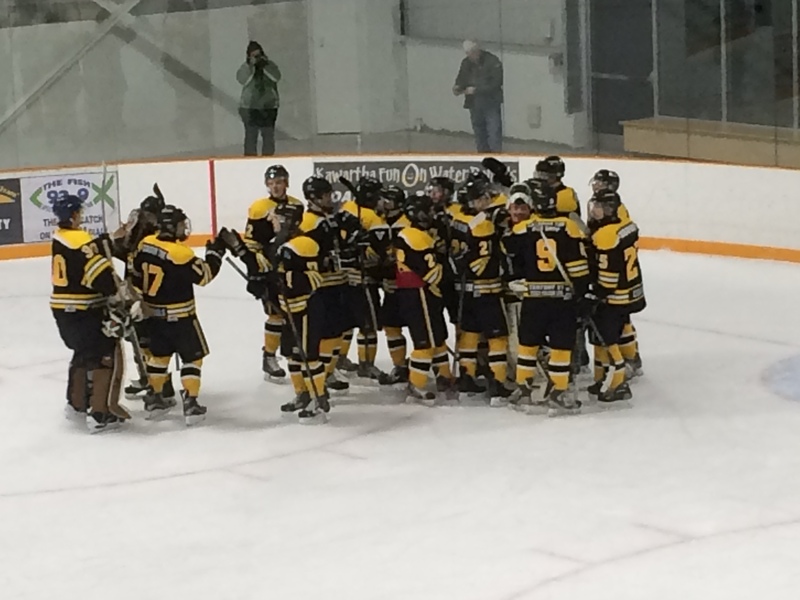 Bruins Get Important Point with Clarington! 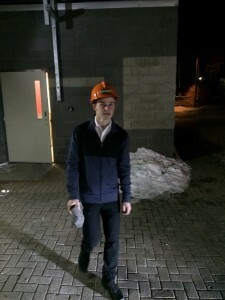 Photo Jaiden Irven and Joel Ovens. Bruins celebrate tying goal. An important point from a 2-2 tie with the Eagles gives the Bruins a second place lead and they can secure that position in North Kawartha Saturday night. Colby Gardner got the tying goal after Clarington had opened up a 2-0 lead. Jordan Nesbitt got the Bruins on the board in the second to cut the Eagles lead in half at 2-1 setting up Gardners tying goal in the third. 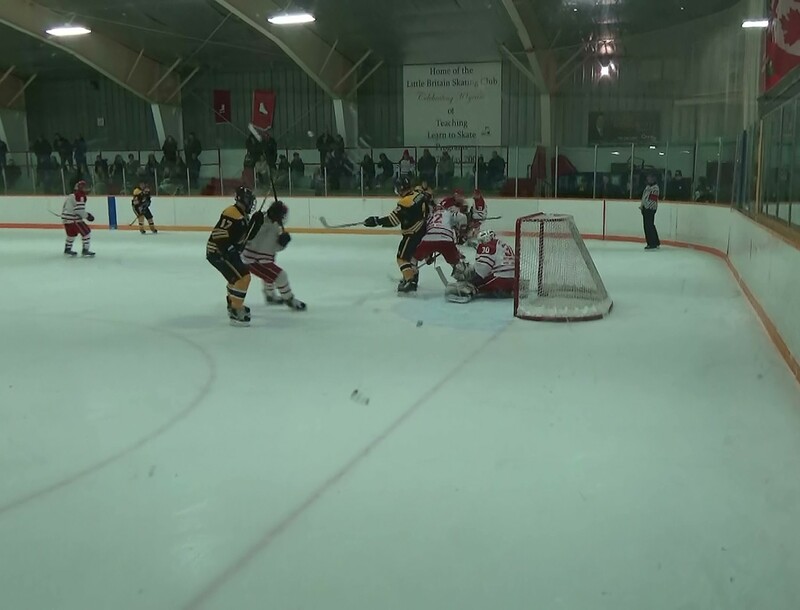 The Bruins outshot Clarington 41 to 36 but could not get the winning goal in OT. Branden Francey came up with two huge saves in the OT Session as 265 fans saw this exciting game tonight at the Bear Den. Good luck in North Kawartha who can’t be taken lightly as they will try to play spoilers in the race for second place. 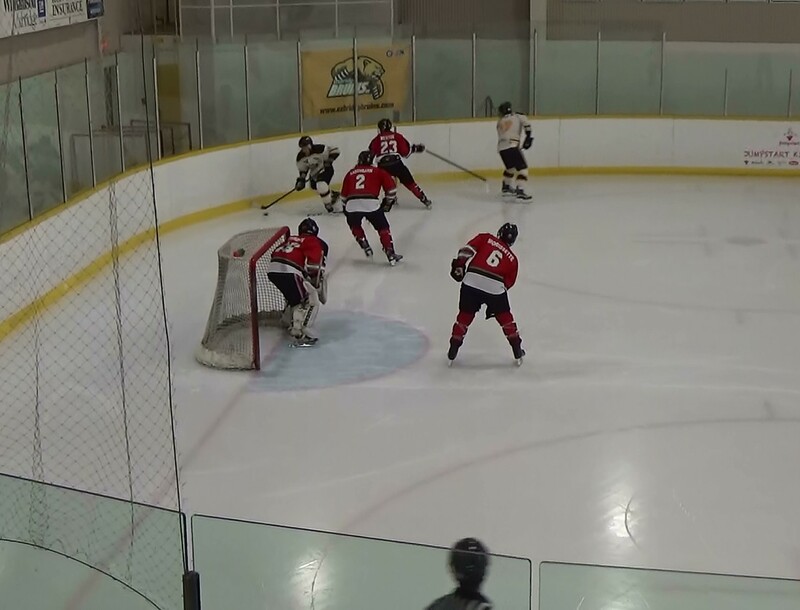 With the final weekend of play upon us there is so many different positions in the final standings that Uxbridge ,Port Perry and Little Britain could finish for second, third and fourth spots. Everyone is gunning for second to get a first round bye along with first place Clarington. Here is the tie Breaking formula courtesy of Liz Bassinger, Central Convener for Central Ontario …If two teams are tied other than the final playoff spot then the teams head to head record including tied games points determine that position, next it is goals for and against. If there is a three way tie it is determined by most wins in the final standings. Finally a three way tie would see Uxbridge in fourth as they would have the least number of wins. Check out our website Sunday Jan. 31st for a final standings and playoff match up. 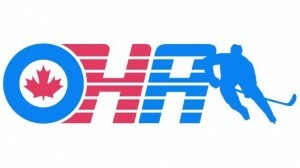 Our playoff schedule will be posted on our front page as soon as it is known. Uxbridge can avoid all of this with two wins in the final two games of the season or a win and a point from a tie or OT loss starting tonight against the first place Clarington Eagles and Saturday when they travel to North Kawartha to take on the Knights. Pedal down Bruins! Comments Off on Bruins in a Classic 0-0 tie at Lakefield! Bruins in a Classic 0-0 tie at Lakefield! 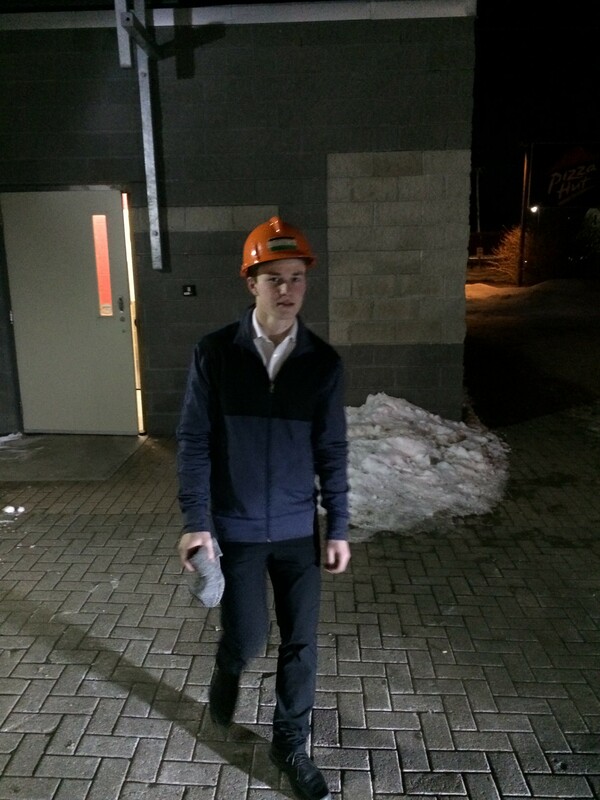 (Photo: Robert Freckelton with the hard hat of the game award) Branden Francey makes several games stoppers in keeping the Chiefs off the board in a 0-0 draw. Francey flashed the glove off a Chiefs one timer during a second period power play and then Francey topped that with a diving midair block in overtime to preserve the tie. A well earned shutout by the Bruins goalie tonight. Currently Uxbridge is 2 points up on Port Perry who have a game in hand. 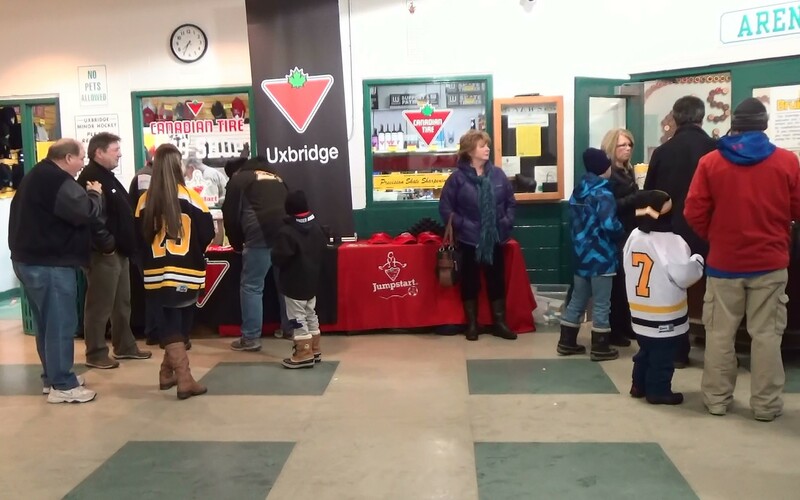 Uxbridge closes out their regular season schedule on Fri. Jan.29th against the Clarington Eagles, come on out and cheer the team as they battle for second place. Comments Off on Bruins Win Battle Tonight Over Port! Bruins Win Battle Tonight Over Port! Comments Off on Bruins Suffer Big Loss in Little Britain! 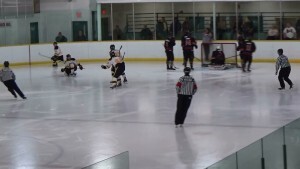 Bruins Suffer Big Loss in Little Britain! Despite holding a 2-1 lead in the second period the Bruins could not hold on to it, falling 4-2 to the Merchants in Little Britain tonight. Daryl Thomson scored on a beautiful one timer from Marco Mastrangelo in the first period to tie the game a one apiece and Mastrangelo gave the Bruins a 2-1 lead in the second but the Merchants would tie it before the period ended. 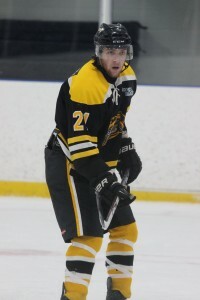 Little Britain scored two goals in the third including an empty netter for the 4-2 win over Uxbridge. 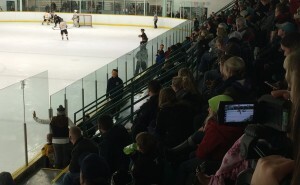 The Port Perry Mojacks are at the Bear Den Friday Jan.22 in what could determine second place and a bye in the first round of the playoffs. Comments Off on Siblock Leads Bruins Past Knights with Three! Siblock Leads Bruins Past Knights with Three! 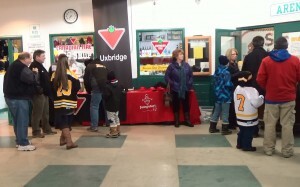 (Photo: Jaiden Irven) Canadian Tire Night at the Bear Den! North Kawartha Knights took a 1-0 lead in the first period and that stood up until the 16:43 mark late in the second when Alex Siblock scored the first of three on the night. The game winner went to Daryl Thomson when he redirected Jordan Nesbitt’s point shot just 41 seconds into the third period. Patrick Bolahood with the insurance marker before Siblock scored his second and third goals of the game on Canadian Tire Night at the Bear Den. Jake Jooston got the win in goal as he faced only 20 shots while the Bruins fired 41 at the other end. Comments Off on Uxbridge Wins in OT! Comments Off on Bruins lose to Clarington tonight! Bruins lose to Clarington tonight! Uxbridge came out flat tonight against the Eagles and as a result fell 5-0 at the Bear Den. Goaltender Branden Francey did his best to keep his team in the game with a series of saves on one play but it wasn’t enough as it was 3-0 after one period and 4-0 after two. The Bruins fall to third place as the Port Perry Mojacks jumped over them into second with their 3-1 win over the Georgina Ice. The Bruins are in Apsley Sat night where they will try to get back on the winning side against the North Kawartha Knights. Comments Off on Central Ontario Playoff format! 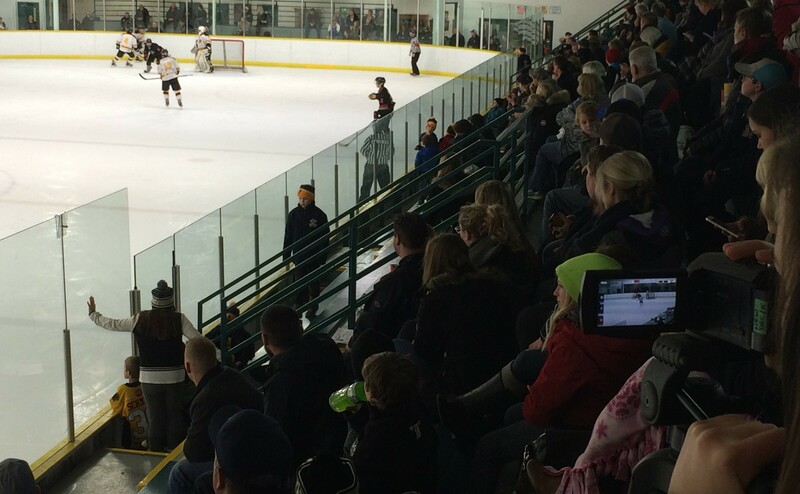 Photo: Fans watch game action at the Bear Den Dec.18/15. The playoffs are fast approaching and here is the playoff format. The top 6 teams make the playoffs with 1st and 2nd place teams getting a bye. after which the successful winning teams are reseeded with the 1st and 2nd place teams. Highest seed of remaining two teams has home ice advantage. All series are a best 4 of 7.